$74.95 In stock. Order in the next 18 hours, 6 minutes and it will go out today! In stock. Order in the next 18 hours, 6 minutes and it will go out today! 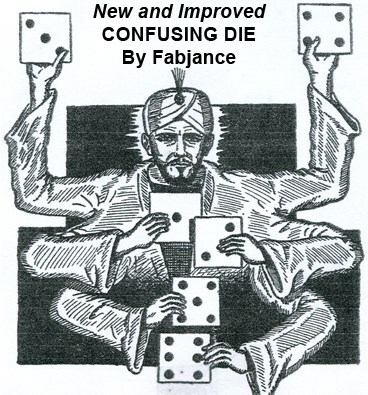 Magician displays card representing a flat die with one spot on the front and two spots on the back. He then turns the card over and reveals three spots and over again to reveal four spots. The magician now explains how the trick is done only to further confuse the audience by displaying five and six spots. A die is instantly recognizable. A die has many potential opportunities for story-lines and routines. A die allows for a presentation that is sequential, logical and is easy to follow.